Abby Rieck is a senior at James River High School in the Center for Leadership and International Relations. Born in Dayton, Ohio, Abby moved to the Richmond area when she was two years old. Abby comes from a large family – she is the fourth of five children. 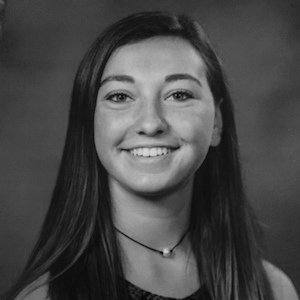 She enjoys playing goalkeeper for FC Richmond Travel Soccer Club, and she participates in James River’s Student Council Association. Abby loves to travel both in and outside of the United States.